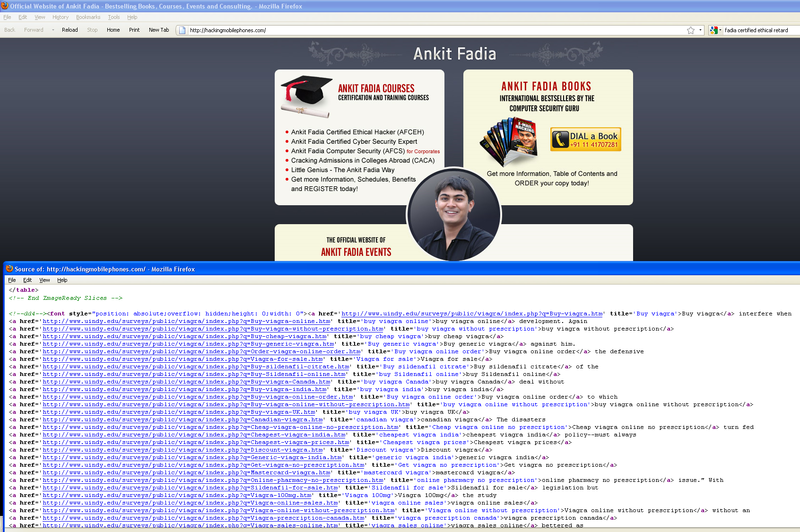 Ankit Fadia, India's uber hacking expert, appears to heavily promote Viagra, or been hacked by evil spammers that found a way to subtlety deface the web page. Archive.org shows us that the Viagra spam was put there sometime on or before July 11, 2008. Interestingly, Fadia never noticed these changes at any point, or he did and opted not to inform his provider who he subsequently blamed and denied he was responsible.